Everything in Shabby Love has a story - and it all starts with Hannah Kappes. 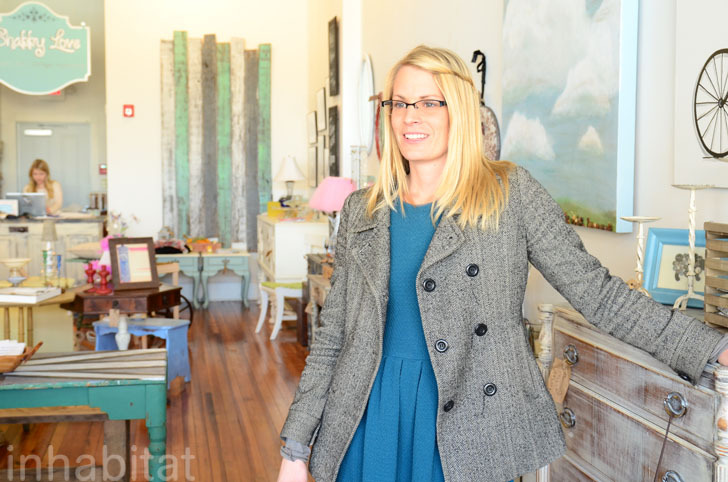 With a keen eye for detail the 33-year-old mother of two scours auctions, estate sales, yard sales and thrift stores for solid furniture that has been abandoned as trash. 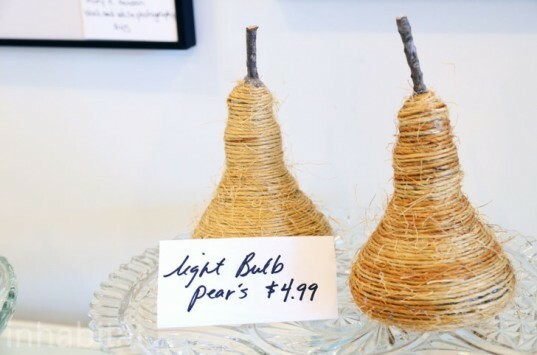 Her store in Orange, Virginia (a small town with roughly 5,000 inhabitants) carries everything from a 1909 nickel-plated brass cash register to gorgeous oak hutches that might have been made during the civil war era and rustic reclaimed barn wood. She often finds chairs with broken legs or arms, but that doesn't bother her. If the wood is solid and the design catches her eye, Hannah will transform it into a fascinating conversation starter. Eventually, after moving to a part of Virginia that has more thrift stores than bars, Hannah started attending estate sales to buy furniture to restore. 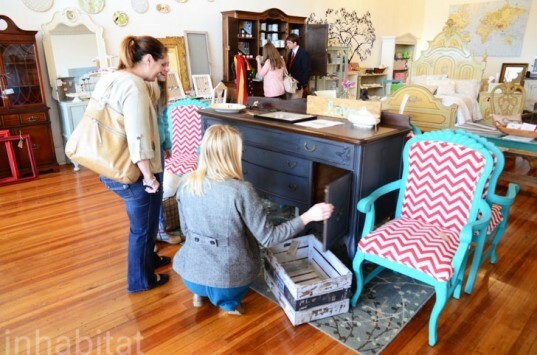 “I was really inspired by all the old furniture here,” she said. 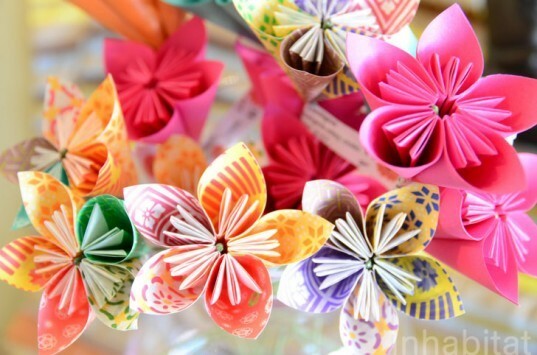 Pretty soon, after further prompting from her friends, she started a small website on which she could advertise her upcycled masterpieces.” “It just took off she said, it blew up!” Hannah’s work became so popular that people begged her to open a store. Again she resisted, but the demand was so great despite the extraordinarily small population that Shabby Love was almost born of its own free will. Now her inspiring space in the historic district of Orange has grown into a light-filled showcase not only of her own recycled work, but that of 20 other artists as well. 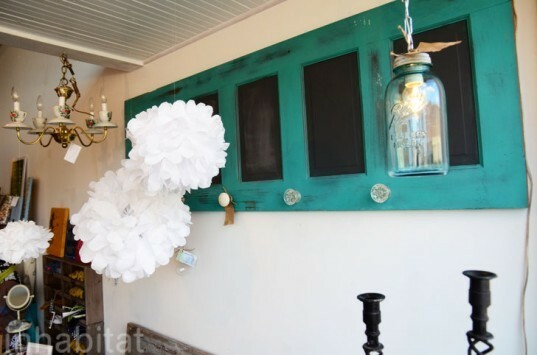 One artist attaches old buttons to paintings, another stacks used teapots to make unique lamps with burlap shades, while someone else scallops used tissue paper into wispy hanging lanterns. Hannah also works on smaller designs, like chalkboards made from old cabinet doors and antique ceiling panels recycled as magnet boards. Also on display are black and white photographs seemingly from a bygone era and Hannah’s signature chairs: bright bodies painted with Annie Sloan’s low VOC chalk paint and then upholstered with some kind of funky fabric – like the red and white chevron that she loves so much. It’s almost impossible to believe that these chairs were anything but gobsmackingly gorgeous until she takes us into her warehouse and unveils the original state of new commissions. She’s kind of a magician but definitely doesn’t act like it. Instead of hoarding, she shares everything she knows with anyone who is willing to learn and even teaches workshops on Saturdays to help others feel confident about taking on their own projects. And so her business grows and grows. It’s hard to believe that “trash” can be so profitable, but we have been to Shabby Love roughly half a dozen times and almost never find an old piece that languishes in the store. Everything gets scooped up so quickly. “It’s so popular and good for the environment,” says Hannah. “You’re taking something that already exists, even though it was very ugly, and you’re turning it into something really pretty.” Just two years after opening her first branch in downtown Orange, the former track star who once worked as a ship mate in Key West, Florida, is already planning to open another store. Which means even more shabby furniture spared from the landfill will get a touch of Hannah’s signature eco-love. This is a restored 1909 nickel plated brass cash register and it still works! Cool coasters! No two are the same - everything is unique. Handbags made from recycled wrappers. Grandma's old teacup is now a candle! 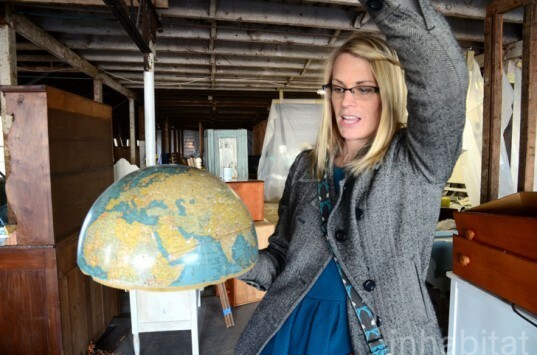 Hannah demonstrates how she is going to turn this old globe into a lamp shade! This is Hannah's warehouse - a beautiful old horse stable that still has most of its original brick. And this piece of furniture is about to get Hannah's a touch of Hannah's signature eco-love!